There’s always a storm when Pat McGrath launches a new product. It’s like we’re all privy to an industry insider product. Hot off of the back of New York and London Fashion Week where Pat McGrath products graced shows such as Victoria Beckham, Anna Sui, Calvin Klein and coach. 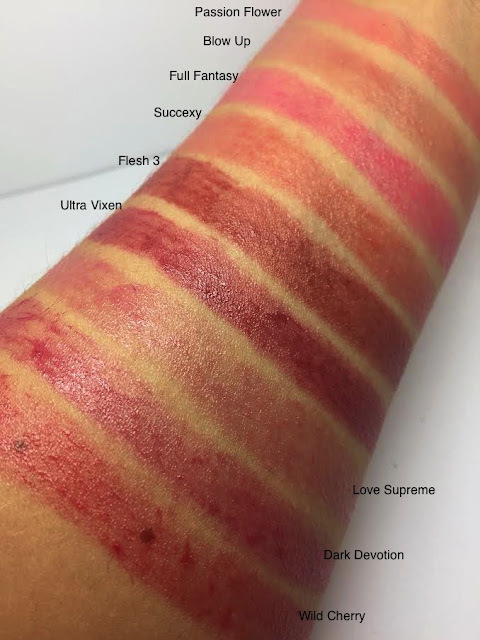 Launching 22nd September (although I have just seen they are available online now) Pat McGrath Labs is releasing 9 new lip fetish shades. Firstly, I’m loving the cardboard packaging in a newspaper style print with gold embossed letters and cotton fastening. 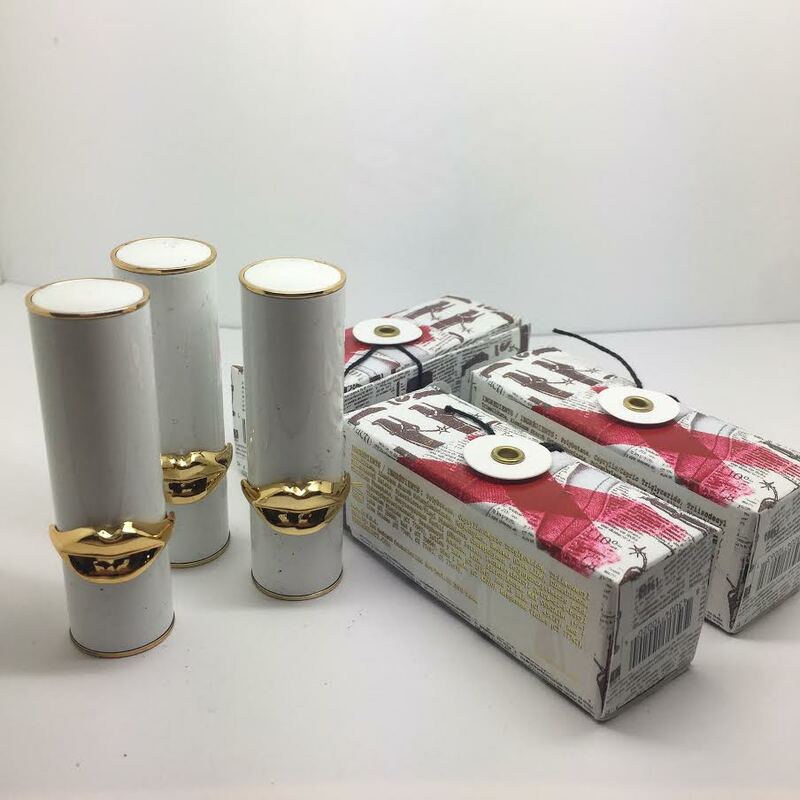 The lip products themselves are housed in white and gold click-shut packaging with a golden 3D lip wrapped around the base. The lipstick revolves up with a satisfyingly rounded bullet and allows a precision application. 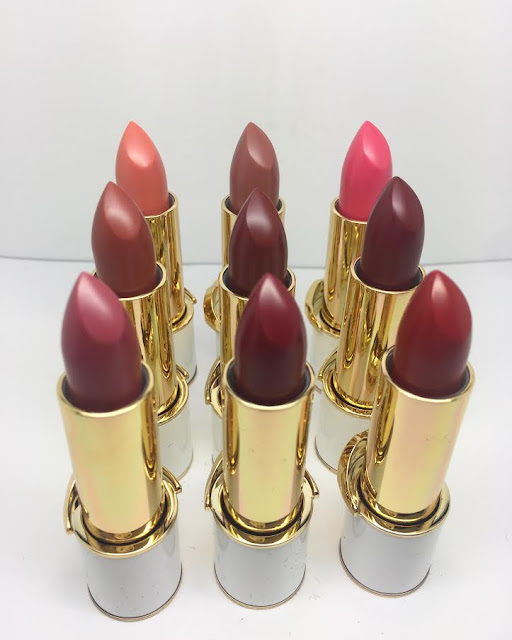 The colours appear bold in the bullet but these are not a strongly pigmented product, they are balmy tints that envelop the lip in an emollient rich slick of colour that works with the natural tones of the lip underneath but still providing just a touch of colour. The added ingredients are like a hug for the lips and you can be sure your lips will be protected, and enriched with vitamins and anti-oxidants. Both hydrating and comforting. Shades are delicate and include a mix of bronzed roses, coral, soft vino and mulberry russets. You will probably find that most shades will fit all. The texture is wonderful and leaves the lips with a low level sheen. For effectively, a balm, the colour lasts well on the lips and the moisturised texture does remain for hours. You can purchase shades individually for £30 or as part of a pre-selected trio for £74 or if you've won the lottery you can buy the whole nine shades for £215. Shipping costs will also occur if you’re out of the states. You can view the collection here and shop online now.